Please write “ROD & KIM FRIESEN” on the check memo line or in the memo or account field in your online bill payer. 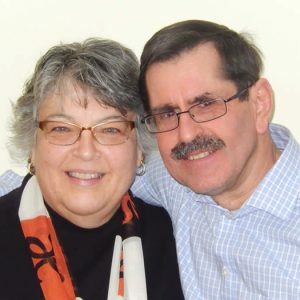 Rod and Kim Friesen currently live in East Lansing, Michigan, where they are reaching out to international students at Michigan State University (MSU). They have hosted international students in their home for 25 years. Most of the students came through the International 4H Youth Exchange (IFYE) program and have been from many different cultures and countries. These students stay for three to six weeks and truly become a part of the family. In 2008, a neighbor’s son went on staff with Bridges International at MSU. He told Kim and Rod that many international students come to America to attend a university and never visit an American home. They invited the young man to bring students to their lake home (40 miles north of MSU) to enjoy a welcome party that September. He brought 40 students and it became an annual event, with up to 80 in attendance. They also started hosting a few students over holiday breaks. In 2009, Bridges also started hosting a Thanksgiving celebration at their home for 40 students, who ate a traditional Thanksgiving dinner and carved pumpkins. In 2011, the Friesens both felt the Lord prompting them to sell their lake property and move closer to MSU to develop deeper relationships with the international students. They saw the difference that their Christian faith made on the IFYE students who stayed with them for a longer period of time versus the short-term relationships they were making with MSU students. For three years, they searched for a home where they could have up to six international students live with them. After a lengthy permitting process, they moved to East Lansing in August 2014. They pray that God will draw many students to Christ through this experience.